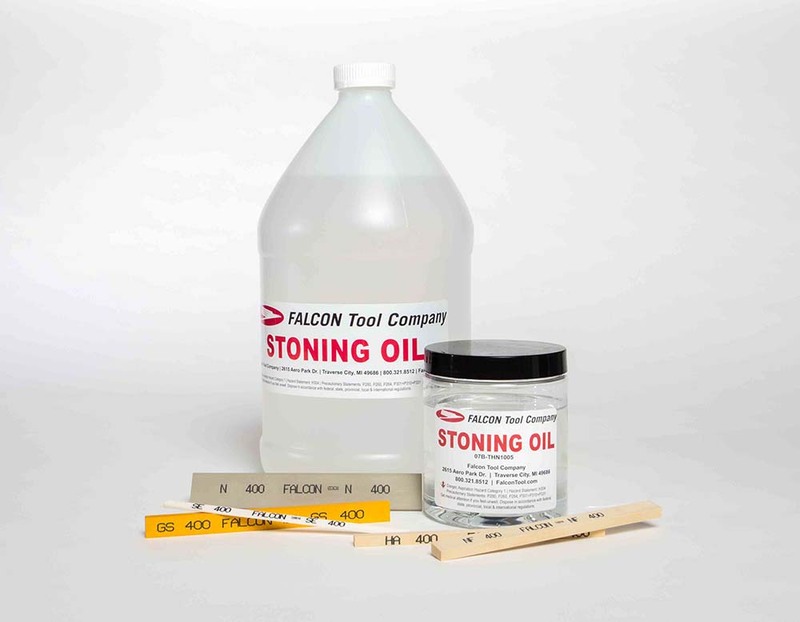 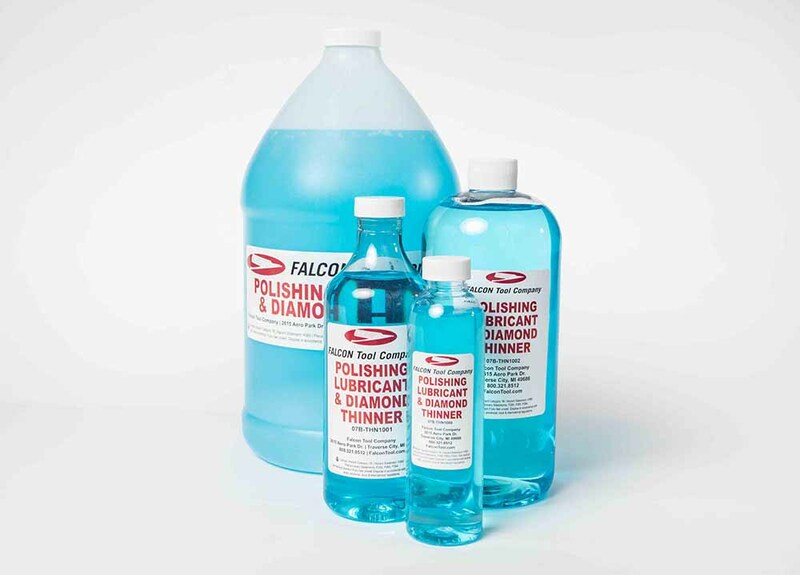 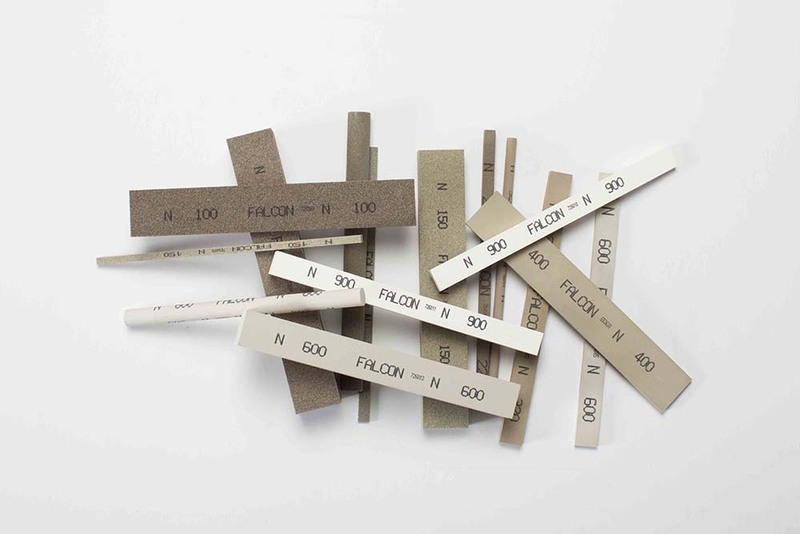 Falcon Tool Stoning Oil is the perfect oil-based lubricant for use with Finishing Stones and Coated Abrasives. 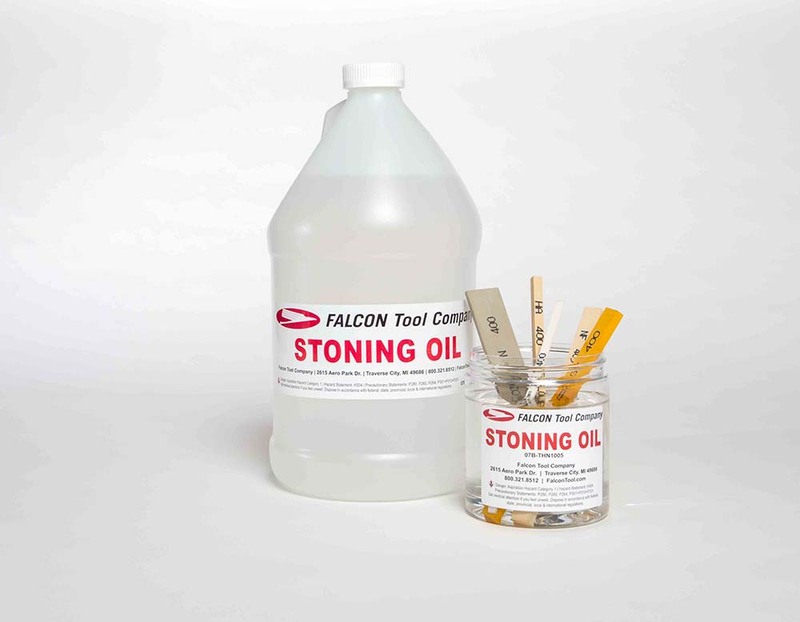 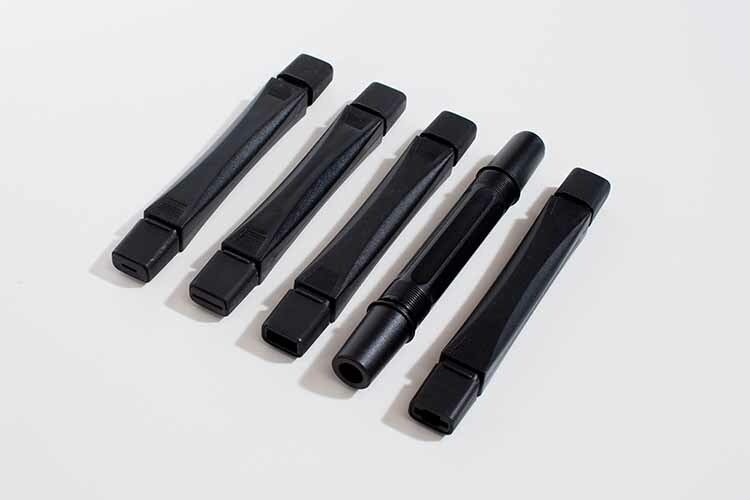 It's a petroleum-based lubricant with a viscosity of 38/45 that prevents stone loading and allows for more consistent and free cutting action. 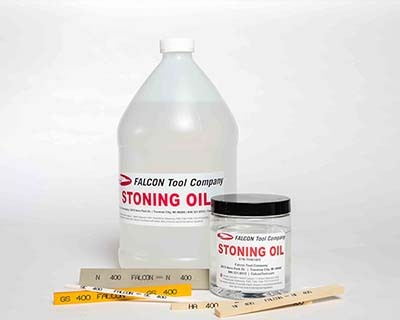 It is not harsh on the hands like other oil-based lubricants such as kerosene and does not promote oxidation on molds and dies. 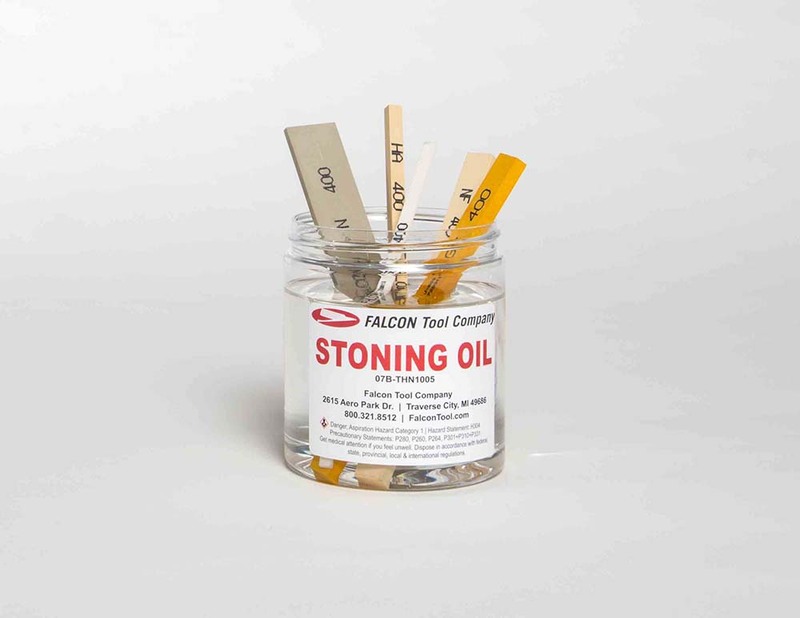 Use this oil on the work piece/tool itself or as a stone pre-soak (remember to separate grits when soaking to eliminate grit contamination). 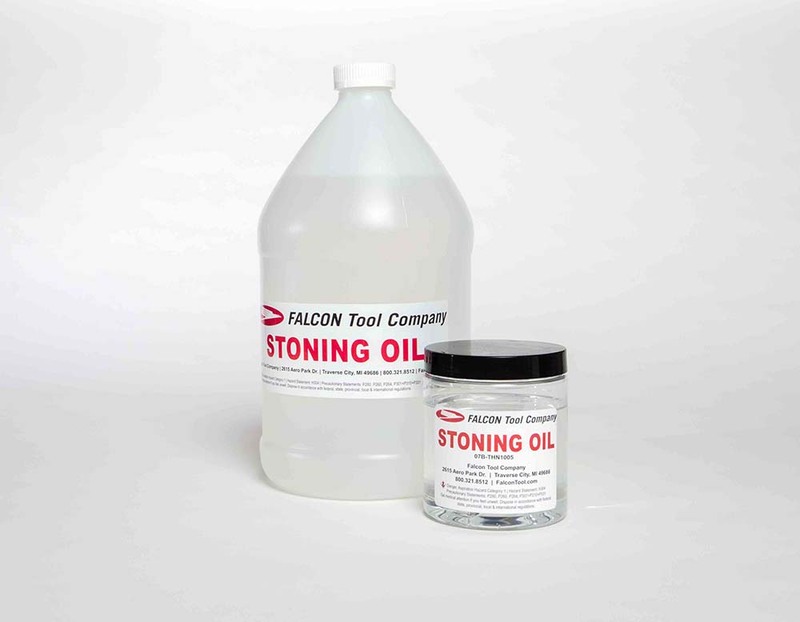 Available in 2oz, Pint and Gallon Sizes.